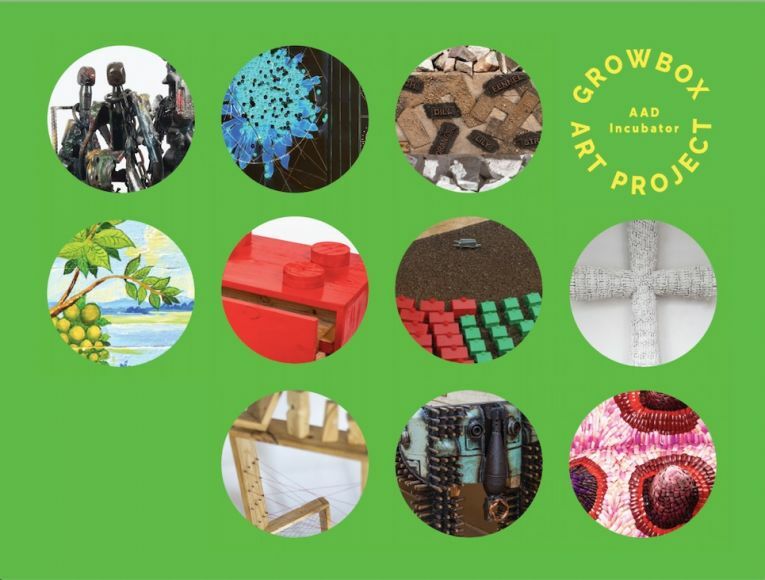 Cape Town: On 17 February 2019, the Zeitz Museum of Contemporary Art Africa (Zeitz MOCAA) will present, in partnership with the NGO African Artists for Development (AAD-Fund), a group exhibition titled, GrowBox Art Project. The exhibition is named after a community project which provides portable boxes that enable underserved communities from around the Cape to grow vegetables in spite of limited spaces. It will see ten well-known artists from various African countries – including South Africa – being challenged to convert wooden planters into artworks. The GrowBox Art Project took root when AAD-Fund – an NGO member of the United Nations Economic and Social Council (ECOSOC) committed to development in African communities – was struck by the innovative concept of this community project. The initiative was started by Renshia Manuel in 2015 when she was unemployed and needed to feed her four children. She transformed part of her garden into a vegetable patch. From there, it flourished. Using the museum as a platform to encourage dialogue around sustainable practices, GrowBox exemplifies collective achievement, problem-solving and resourcefulness in the face of adversity. Co-curator Julia Kabat says the exhibition evokes important debate about the history of agriculture in Africa, particularly about how multicultural cultivation can prevent the issue of monoculture. For some of the artists involved, GrowBox is personal. “I decided to use a little piece of the GrowBox and use more metal, which I’m used to, and then I connected the piece to the more historical background of suffering under colonialism and apartheid. So I tried to combine the GrowBox story with a deeper root of the problem of poverty and where it comes from and how it sustains itself,” says Willie Bester, a Western Cape-born artist. For more on the GrowBox NPO, click here. African Artists for Development (AAD-Fund) is a French NGO founded in 2009 by Matthias and Gervanne Leridon to respond to the UN Development Sustainable Goals. Member of the UN Economic and Social Council, AAD-Fund supports community development projects in Africa that are enhanced by the creations of contemporary African artists. For more on AAD, click here. Zeitz Museum of Contemporary Art Africa (Zeitz MOCAA) is a public not-for-profit contemporary art museum that collects, preserves, researches and exhibits 21st-century art from Africa and its diaspora; hosts international exhibitions; develops supporting educational and enrichment programmes; encourages intercultural understanding, and guarantees access for all. Galleries are dedicated to a large cutting-edge permanent collection; temporary exhibitions; and Centres for Art Education, Curatorial Training, Performative Practice, Photography, the Moving Image, and the Costume Institute.